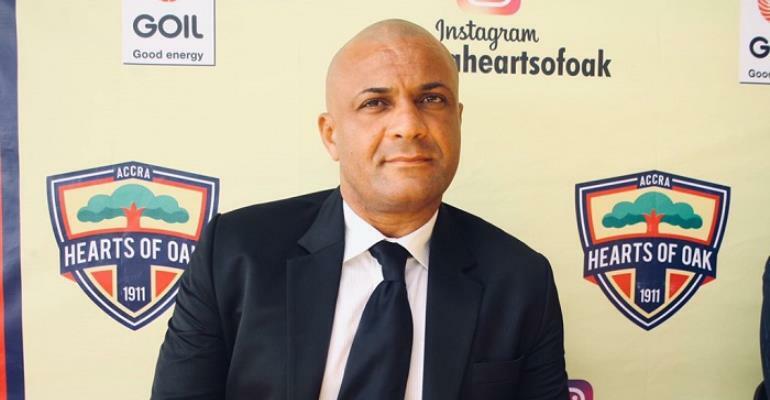 Hearts of Oak trainer, Kim Grant has reiterated that he is determined to make Accra Sports Stadium a fortress for the Phobians and a Waterloo for visiting teams. According to him, the team is delighted to have Accra Sports Stadium as their home grounds as it would be easy for the fans to troop to the stadium to support them massively anytime they play at home. “We want to make Accra Sports Stadium a fortress where teams would struggle to play so that we can defeat them. Playing in Accra will take away the stress that supporters went through when they had to travel to Cape Coast. Though I was not the coach by then, I felt it was challenging for the supporters. “I know the players would give 100 per cent of the spirit of Phobia. I believe in the players and their abilities and I know they will give their maximum best. We are hoping to bring back the glory days of Hearts”, he stressed. Hearts will play host to Dreams FC in their first game at home on Sunday and Coach Grant is certain that his boys are ready, considering the amount of work they have invested in their preparation.